Tesco by far ranks as Britain's number 1 retailer in terms of sales of over £54 billion for the last accounting year, more than twice its nearest rival Sainsbury. 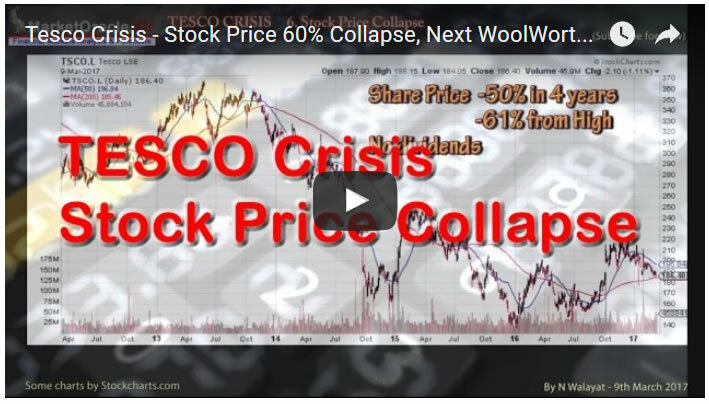 The Tesco stock price says it all of just how badly run Britain's super market giant has been for many years, which goes beyond the usual dynamics of a badly run businesses that over expanded during the good years. For you know when a companies in deep trouble when the Serious Fraud Office has been investigating it for several years. And whilst the fraud is estimated at £326 million, however when it's all done and dusted the verdict could be accompanies by an even bigger shock to Tesco's finances, a mega-fine of upwards of £500 million that could be the final nail in Tesco's coffin. 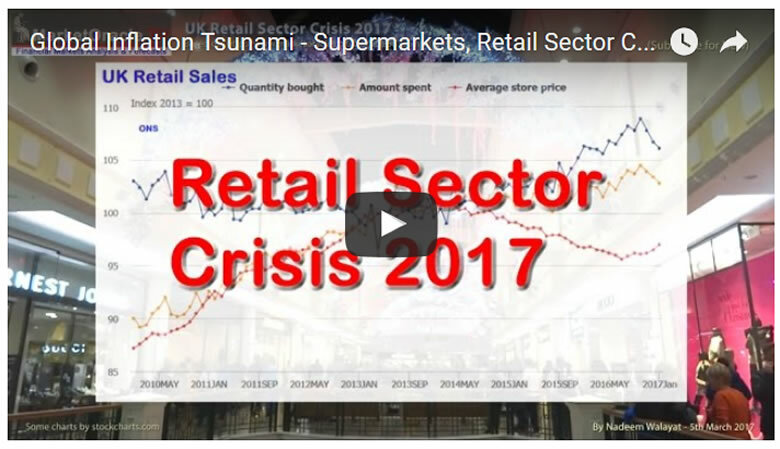 Ensure you are subscribed to my youtube channel for new videos in this retail sector series as I take a look at the stock price prospects for Britain's biggest retailers.